This is an apple. 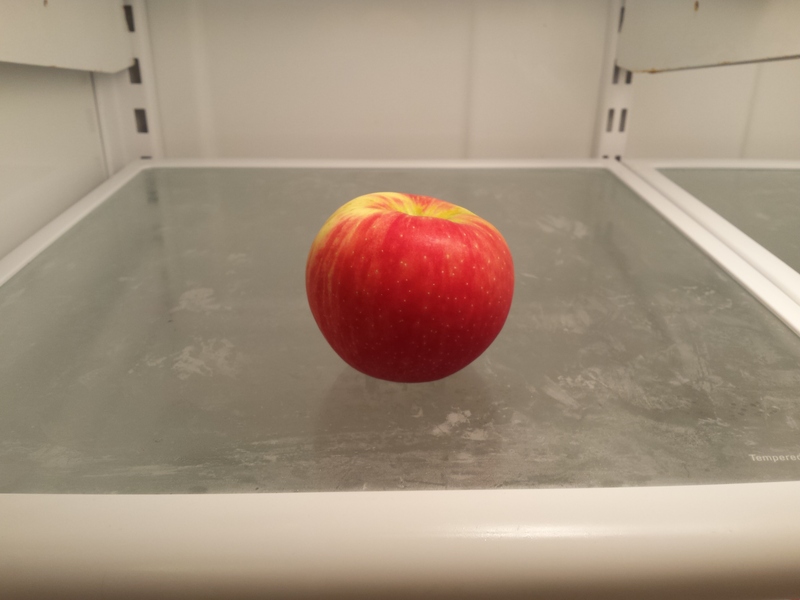 Not just any apple, it’s an apple that is now in our cold working refrigerator! Yay! Oklahoma Appliance came through for us big time. $244 got our new frig back and running. If you live within 30 miles of Cushing, OK and have problems with an appliance, I highly recommend giving them a call! Very professional, knowledgeable and did great work! Absolutely no help from Sears, horrid customer service in fact. In short, one customer representative completely lied to me saying they would send someone out to diagnose it for free. He confirmed my email and phone and said the repairman would call me an hour before arrival. Not so much. After taking vacation time the following day (Tuesday) and it nearing 2pm, I called in to get an ETA only to find out they had no one scheduled, nor could they schedule someone till the following Monday! And this representative firmly informed they would never send someone out for free and basically I should read my manual— it says 1 year warranty. Our frig of 6yrs was way out of this time-frame so we could only pay $275 for a broken parts warranty plan or pay $107 for repairman to come and diagnose, then go from there. Oh, and on the broken parts warranty plan, they would not provide a terms and conditions with it, only would tell me that it covered up to $500 worth of parts/labor and then I’d have to pay the rest. They will however take your money over the phone… credit card please! All of this was extra frustrating to us because when we remodeled our kitchen in 2008, this was the most expensive item. We even went all out and got the extended warranty on it for the extra $500 or so. The paid it out on a Sears card with no-interest and all in all the total after tax was about $2,700. Maybe it’s because we were used to growing up with refrigerators that last 20+ years, but neither of us ever saw our parents have to replace the frig. And we have an 18yr old Amana refrigerator that still works in the garage. Sure, it has some broken shelves, it freezes some things in the refrigerator sometimes, and the seal on the freezer door needs replacing— but it still works good! 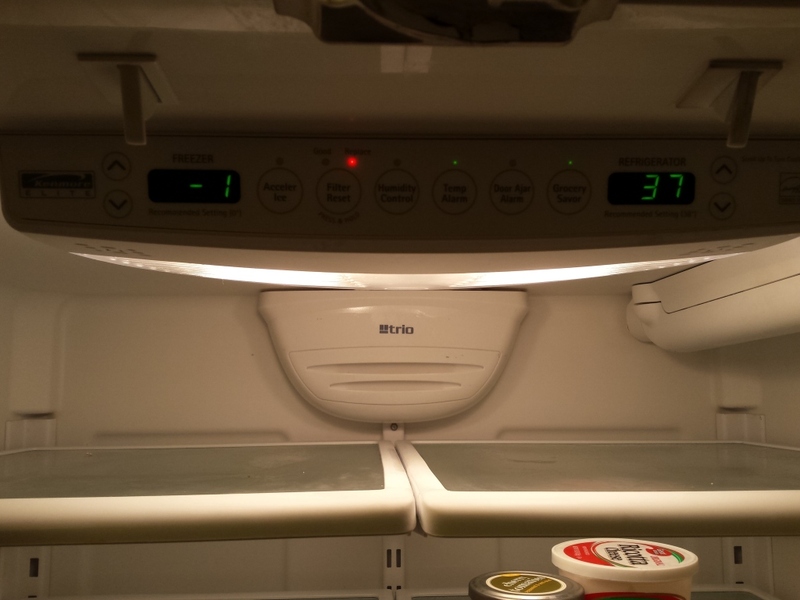 Not long after having this frig, the door flap that forms the seal between the two refrigerator doors needed replacing, along with the seals on the doors. Then about a year later they needed replacing again. They just weren’t fitting right or something. Next, the control panel board went out and only would show temperature read outs. None of the controls would work. The Sears repairman replaced that. And of course, a few months later when our extended warranty was expired, the control board went out again. So for the past 4+ years we’ve lived with only being able to see the temperature read out; we haven’t been able to adjust the temps, reset the water filter alarm, or just the ice maker control settings, etc. Our first attempt at using another recommended local repair guy led to a $100 charge ($60/visit, $45/parts+labor) that didn’t fix it. He had replaced the relay switch with the one photoed in the article above. After that didn’t work, most repair places were saying it might be a failed compressor so we should just buy another frig at that point. This was because the labor and cost with replacing a compressor is going to run anywhere from $600 to $1000+ and new compressors only have a year warranty just like new frig. Great, so we have a world’s larges room-temperature water filter dispenser. ugh. Previous related post: Sears Kenmore Elite Trio – 596.77593800 – The Lemon. This entry was posted in News, Reference and tagged fixed, Kenmore, lemon, refrigerator. Bookmark the permalink. Post a comment or leave a trackback: Trackback URL.